This trek approaches the South Face Base Camp of the world's third highest peak, Kanchenjunga [8598m.] which lies in the eastern frontier of Nepal . Mt. 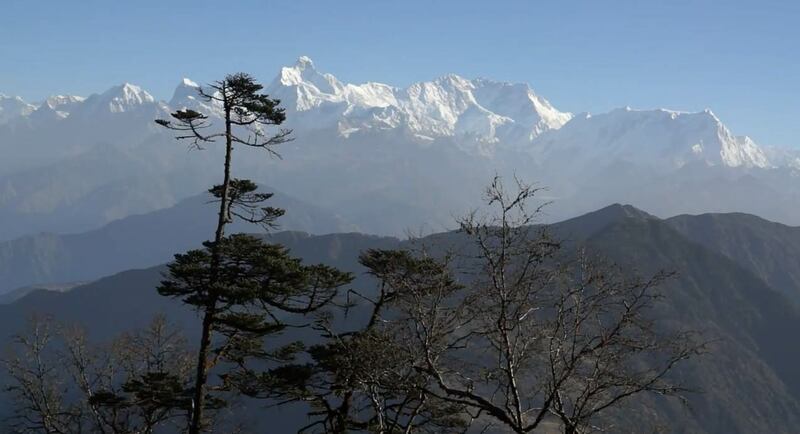 Kanchenjunga , one of the world's most challenging peaks to climb, geographically lies on the Nepal-Sikkim ( India ) border. The trek begins right after landing at a STOL airstrip in Taplejung and goes through fascinating green, crop growing villages and pristine forests to the awe-inspiring South Face Base Camp at Ramche at [4360m], before crossing to the north side of Kanchenjunga via the Mirgin La, the highest pass at [4663m]. The glacial excursion around Ramche is truly an unforgettable experience. The return trek via Ghunsa is easier as most of the path passes along the river valley.